We want to invite you to our next Offering Ceremony to Padmasambhava this coming Sunday November 2nd, 2014 at 11:00 am at our Temple on 3335 Racquet Street, Las Vegas, NV. We will gather to recite the Saddhana of the Rigdzin Dupa, which is the practice to the Lama, who concedes all blessings. We appreciate if you can bring an offering item for the ceremony. If you have any question, do not hesitate in contacting us. We will be veruy happy to assist you. We want to remind you that we continue to meet every Wednesday from 7:00 pm to 8:00 pm at the Lohan School of Shaolin, to learn more about the Ngondro Practice and its details. This coming Wednesday we will be talking about the Sakyamuni Buddha Practice, Sakyamuni Buddha mantra, the history of the Buddha and the meaning of the 4 Noble Truths. We continue to thank everyone who supports the Padma Rigdzin Ling Monastery, making it possible for our beloved Lama’s Tradition to stay alive. If you have any question or request, do not hesitate in contacting us. Thank you and see you next Wednesday! First of all, we would like to deeply thank everyone near and far, who is currently supporting the activities of Padma Rigdzin Ling Buddhist Center, and who make possible that Venerable Lama Jigme Rinpoche can remain in meditation retreat, praying for the benefit of all sentient beings and for Peace in the World. Your help allows us to continue working for the benefit of the community, sharing the Teachings of the Buddha and transforming many lives. At the same time, your support continues to let us protect and keep alive the rare tradition of our Lama, the Longchen Nyingthig Lineage. Like every Wednesday, at the Lohan School of Shao Lin at 7:00 pm, we bring to discussion the different parts of the Ngondro and the clarification on visualization exercises. This coming Wednesday August 6th, 2014 we will be celebrating the Offering Ceremony to Padmasambhava and his Anniversary. The activity starts at 6:00pm at our location on 3335 Racquet Street. Please bring food or drinks for offering. If you have any question, do not hesitate in contacting us. We will be very happy to assist you. Every month: Offering Ceremony to Padmasambhava. For questions, do not hesitate in contacting us directly. HAPPY MONTH OF SAKA DAWA! 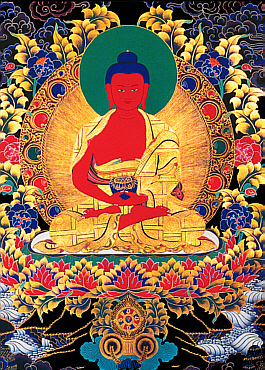 The whole 4th month of the Tibetan Calendar is one of the most important Buddhist sacred days. It marks the anniversary and celebration of the Precious birth, Enlightenment, and Parinirvana of the Buddha Sakyamuni. This is an extraordinary month to do practice, accumulate merit and gain insight, as our merits from the practice is multiplied by 100,000 times. Through this month it is very important to do our practice, recite mantras, do prostrations, circumambulate Monasteries and Stupas, save lives, do mediations, etc. as it will bring extraordinary results. We invite you to our Monthly Tsok this Sunday May 19th at 11:00 am at our location in Las Vegas. This will be a very auspicious ceremony for the accumulation of merit and wisdom. For questions or requests, please contact us at any time. We will be happy to assist you. As explained by Ven. Lama Jigme Rinpoche, the whole 4th month of the Tibetan Calendar is one of the most important Buddhist sacred days. marks the anniversary and celebration of the Precious Birth, Enlightenment and Parinirvana of the Buddha Sakyamuni. This is an extraordinary month to do practice, accumulate merit and gain insight, as our merits and demerits from the practice multiply by 100.000 times. The first day of the month befalls on Friday May 10th, 2013. This is an incredible auspicious day to hang prayer flags, start precepts, fastings, retreats, eat less meat, become a vegetarian, or embark on any meaningful endeavor. Rinpoche advises us that through this month it is very important to do our practice, recite mantras, do prostrations, circumambulate Monasteries and Stupas, save lives, do meditation, Tsa Lung Trulkor, etc.. as it will bring extraordinary results. This month’s Padmasambhava Day falls on Monday May 20th, but we will be celebrating the Ceremony on Sunday 19th at 11:00am. We would like to see everyone at the Puja and we wish many special accomplishments for all of you throughout this auspicious month. If you have any question or request, please contact us. We will be happy to help. We would like to thank everyone who joined last week’s Hayagriwa Empowerment and the Longchen Nyinthig Phowa Transmission in Nevada City, CA. With the kindness and wisdom of Venerable Lama Jigme Rinpoche, we all received a unique Teaching and instructions for Spiritual realization. Thanks to the great hosts and sponsors who made possible this wonderful event.